Location was great. House was well appointed, comfortable with a nice rear deck with BBQ(used it both nights on our) stay. Yard was quite leafy & private. Close easy drive to National Park/Wineglass Bay walk. Loved the back verandah and garden. Had a really nice stay! The location was fabulous! Such a quiet location. A lovely easy walk to Iluka Bistro and wharf, beaches, local shop for top ups, children's park and bush adventures in every direction! The garden was spacious, safe, fun to hide in and private! Spacious family area and massive yard. Close to everything you needed. Neat and tidy. Great location and has everything you would need for a relaxing holiday. More than adequate for a couple,ideal for a family. Really nice place. Good amount of space and a HUGE kitchen. Really enjoyed the flow of the living areas. It was nice to have such a big deck out the back and a really big backyard. If I had kids, I'm sure they would have spend half the day running around there. Excellent and well equipped property. Highly recommended. We had a slight issue with there not being enough towels provided for the number of people we booked for. However, this was was very quickly rectified which was appreciated. The blue shack is a lovely property. 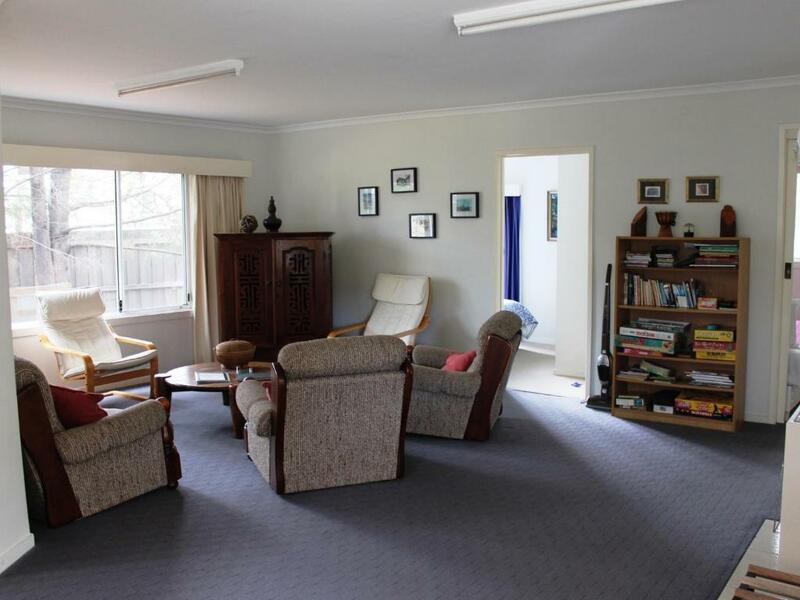 Very comfortable and would be good for a family or a few friends. 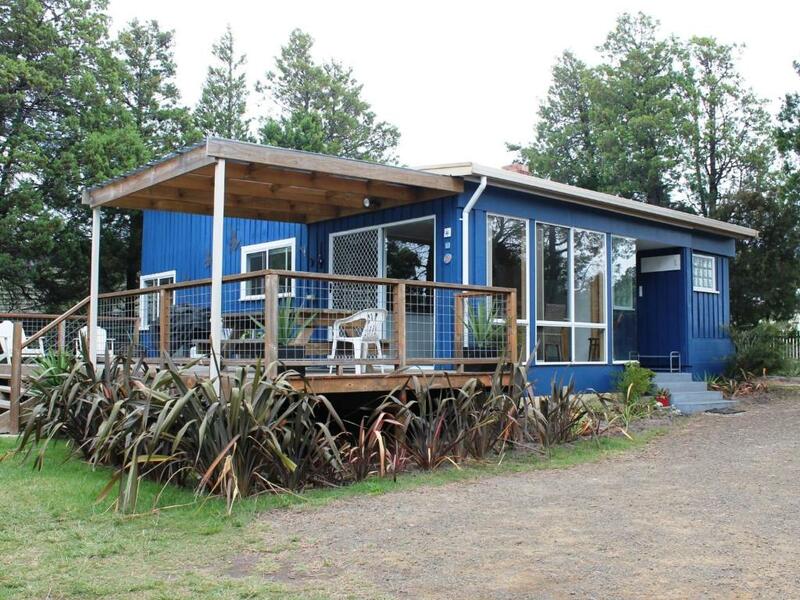 Lock in a great price for The Blue Shack – rated 8.6 by recent guests! 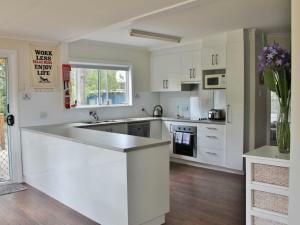 Located in Coles Bay, The Blue Shack offers self-contained accommodations with free on-site parking and a BBQ. 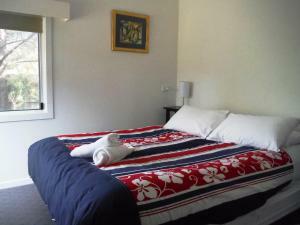 The heated holiday home is within a 10-minute walk from a variety of shopping and dining options in the center of town. Close to popular natural attractions, The Blue Shack is a 15-minute walk from the entrance to the Freycinet National Park. Guests can take a 20-minute bush walk to Richardsons Beach or a 1.5-hour hike to the famous Wineglass Beach. Muirs Beach is within a 5-minute drive away. Set within spacious grounds, this holiday house features a fully equipped kitchen and a living area offering a flat-screen TV, DVD player and a CD player. Guests can dine indoors, or share a meal on the outdoor terrace. The property includes a private bathroom, complete with a bathtub, shower and a hairdryer. Linen, towels and a washing machine are provided. When would you like to stay at The Blue Shack? 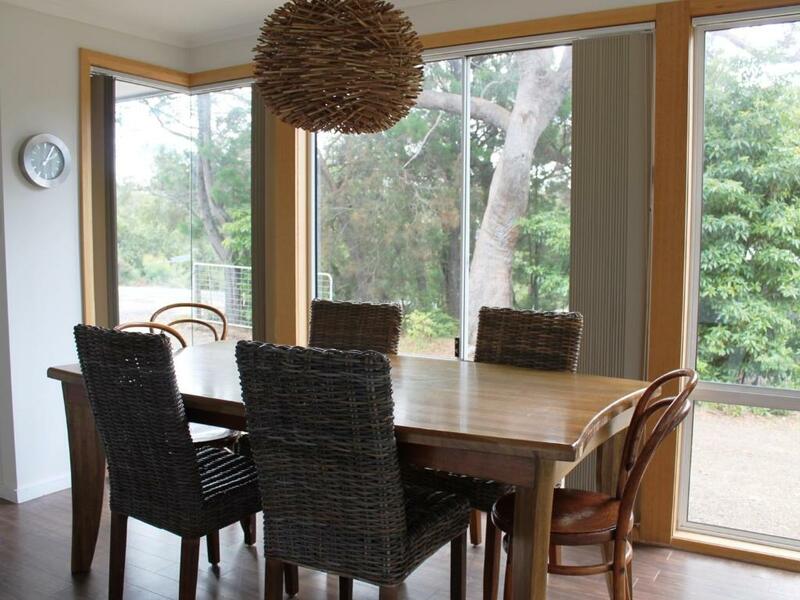 This holiday home has a fully equipped kitchen and both indoor and outdoor dining areas. It includes a living area, which offers a flat-screen TV, DVD player and a CD player. 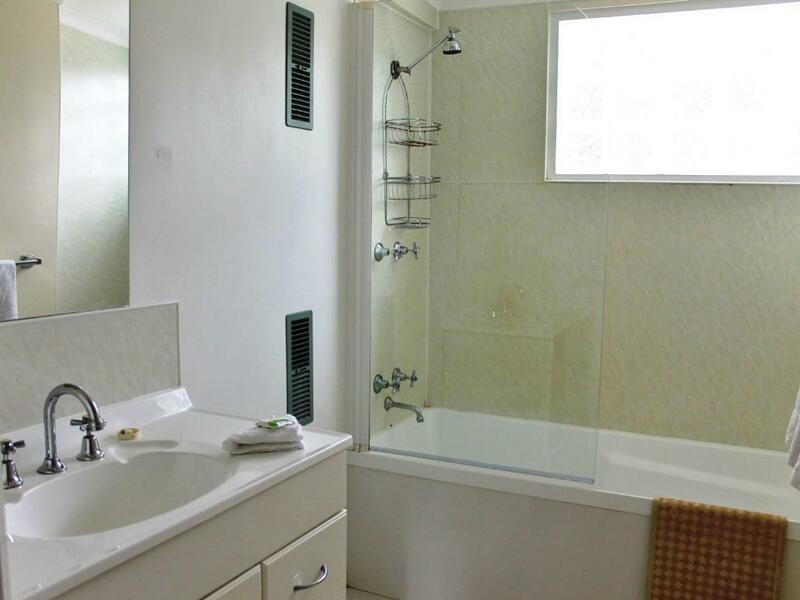 Your private bathroom is equipped with a bathtub, shower and a hairdryer. Please note that the price is based on 2 guests sharing 1 queen-size bed. 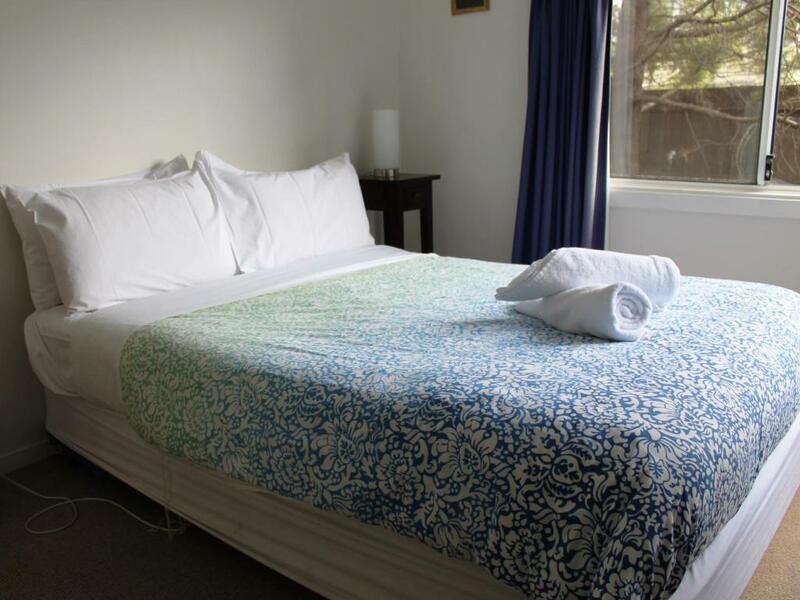 If the 2 guests each use separate beds, an additional $25 charge per night will apply. House Rules The Blue Shack takes special requests – add in the next step! Up to two children under 16 years are charged AUD 25 per night when using existing beds. The Blue Shack accepts these cards and reserves the right to temporarily hold an amount prior to arrival. The lock box for key access was difficult to get into with the code on arrival, then we couldn’t get it open to put it back on departure. Had to drive to the ‘agents’ place of business to return. Couches weren't overly comfy and the quality of some of the DVDs wasn't great (probably from overuse though!). Also we only found one face washer but there were two of us booked. We would have appreciated access to a clothes dryer. Extremely well equipped and spacious house. A few things need a little tlc (range hood was broken) 2 rooms were very small for the double beds, bunk beds would have been great but overall lovely house! Board games didn't have games in them! Wife and I sat down to play a game, and found that there wernt any complete games! The location. Could have given the Window sills a vacuum... Wasn't impressed with my 2 year old being able to get to dead flies. The lounges could do with being replaced also, very hard to get back up from. Three people booked in but only two towels provided. A couple of hairs found on the linen was a bit of a put off! There was no information on which night was bin empty night. We discovered the bins were full and unable to be added to during our stay. Cost was quite high! 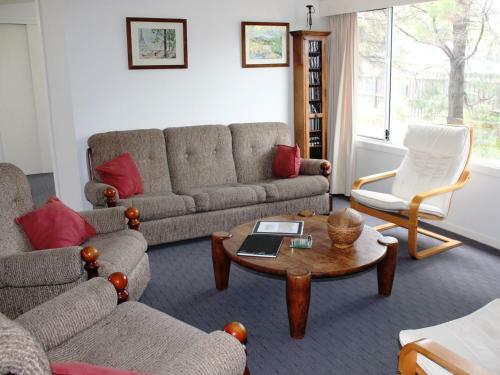 If the cost stayed at $230 p/night for a family of 6 then it might be easier to justify!